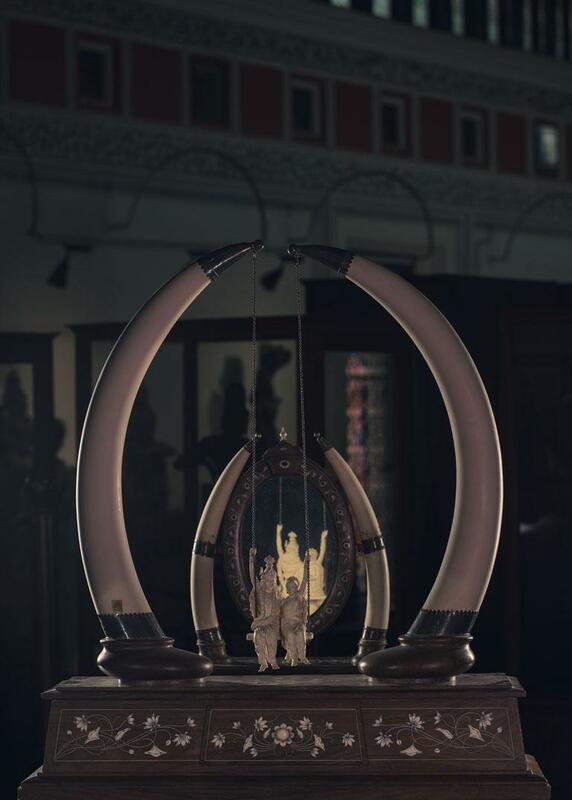 Ivory carvings of the Museum are the rarest of the rare kind. Radha Krishna is a divine pair. The exhibit is elegant and at the same time romantic. Here the two are seen sitting on a swing. A majestic elephant tusk adorns both the sides.